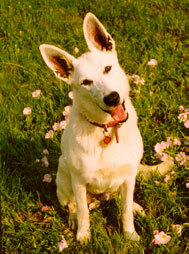 Companion K-9 Dog Services has been providing dog services for over two decade with over 20 years of dog experience. We offer a variety of services to address the needs of families and their dogs. We have many options for you and your precious pet offering dog day care, boarding, training services and discounted long term boarding in a Country Home Retreat in McKinney, TX. To us this is a lifelong partnership creating peace of mind for dog owners by providing care and training as we would want for our own canine companions. Do you work all day? Is your dog home, alone? Maybe you have travel plans and you need to make arrangements for your pet’s care? Pick from our Dog Day Care or Dog Boarding services? They will be in a similar home setting with many daily activities, human companionship and play time with other canine friends. Let your dog burn off some energy and let their ears down at their home retreat from home. We accommodate dogs that are active to couch potatoes, large or small and young or old. Our home retreat was intended to provide familiar home surroundings to lessen the stress of your pets stay instead of a typical kennel. They are allowed in our home whether in the office, kitchen or living room. We run mostly a cage free environment with the exception of bedtime and meal time for your pet’s safety. We strive to keep your pet safe, happy and healthy like part of our family. Let us Scratch your Dog and give your Family Pet daily TLC, it's our job and we Love It! Our dog training philosophy is to help people gain the skills they need to help their pets be their best canine companions and polite pooches. We use the most modern gentle behavior shaping techniques to get the greatest results from your pet's training experience. We can help you with any breed dog from puppies to adult dogs so families have a well-mannered and happy pet. We can show you how to head off or solve behavior problems such as jumping, chewing, digging, barking and work on basic to advance commands. You have dog training choices between group dog classes, private lessons and board ‘n train programs using various positive methods such as play training, clicker training and target techniques to shape behaviors. Since every dog can be different we’ll find what works best to motive your dog to work for you. We ensure owners are learning the proper skill set as well as their family companions for optimum success. We want you and your dog to be happy and to have fun while training with results leading to a companion dog for life. We want your dog to respect you, not be afraid of you. Serving Collin County, McKinney, Allen, Frisco, Plano, Sherman, Richardson and surrounding Dallas, Texas areas. Is your dog home alone, bored and not getting enough exercise or human companionship while you are at work or while you are away for the day? Then send your pet to dog daycare where he can let his/her ears down with some new four legged friends and be given TLC by our caregivers. Taking a Trip need Dog Boarding? If you are planning a business or vacation trip, your cherished pet may be unable to accompany you. Companion K-9 Dog Services will gladly accommodate your dog’s needs for a short stay or a long term stay. We will treat your pampered pooch as one of our own. We are your dog’s Home Retreat from Home! We offer a variety of training services to encompass the needs of families and their dog’s training from group dog classes, private lessons and customized board and train programs. We refer you to Rescue Dogs for adoption with other organizations that can enrich your life and make a great addition to your family. All information provided is provided for information purposes only and does not constitute a legal contract between Companion K-9 Dog Services and any person or entity unless otherwise specified. Information is subject to change without prior notice. Although every reasonable effort is made to present current and accurate information, LinkNow™ Media makes no guarantees of any kind.